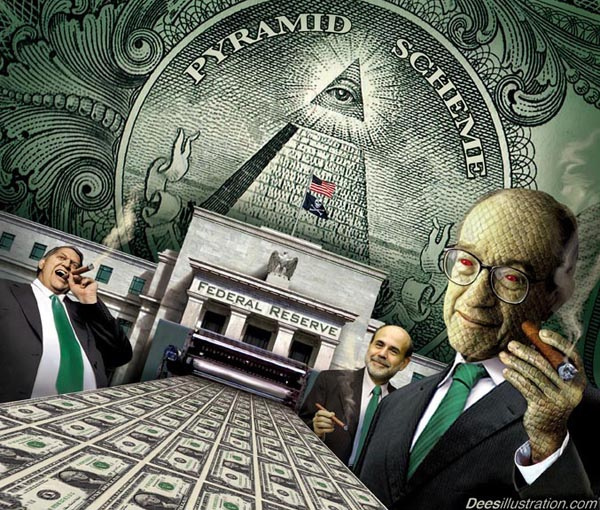 HOW THE FED RESERVE, GOVERNMENT & COLLEGE EDUCATION SCAMS YOU WITH THEIR PYRAMID SCHEME SYSTEM! 1. The federal reserve which is NOT A U.S ENTITY prints 85 billion U.S CURRENCY DOLLARS every month and LOANS it to the american government. a. this is not REAL MONEY. it is fake currency or in other words known as FIAT CURRENCY. the american dollar has absolute no value left over WHATSOEVER. this is why we are in WAR with the middle east. its a war between currencies. the federal reserve can create wars, start genocides and virus', recessions, mess up the stock market in order to create wealth. the government creates debt in order to create wealth. b. this debt we print every month is loaned to the american government. 2. the american government mis properly uses this money. a. majority of the money the federal reserve loans to the american government goes to the MILITARY and SOCIAL SECURITY. b. this is your TAX MONEY. 3. the federal reserve smacks interest on the dollars they loan to the american government so who pays back the debt of every dollar printed for free? 4. YOU! the hard working employee. a. a portion of every one of your paychecks goes to giving those without jobs money and assisting the government in killing innocent people in other countries. b. while you labor each week barely having enough to pay bills the government and the federal reserve gets RICH off your tax money. c. because you can never BECOME WEALTHY WORKING UNDER A HIGHLY TAXED SYSTEM. d. you simply help those higher up become RICHER. 5. why? the more you work the more you pay in taxes. the more you earn and the higher your wage or salary the more you pay in taxes. the system is not designed for you to win! 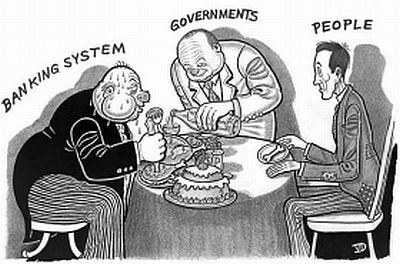 the system is designed to control your wealth and make others rich. its a pyramid scheme. 6. social security and medicaid is also a ponzi scheme because there won't be enough money to provide for the upcoming generations to survive off of. 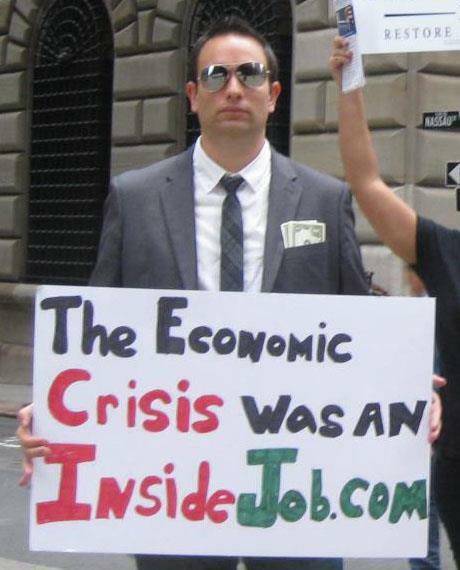 the economy is broken and irreparable. all the taxes you pay now to secure a retirement won't be there. you will be SCAMMED BY THE GOVERNMENT. thing is they will disarm, imprison and kill you before you can even notice how bad you've been scammed. 7. how can you trust a entity that is ADDICTED TO DEBT and USES FAKE MONEY? the american government has got many other countries in debt. that's how bad it is. a. how can you trust the 5-10% of the population who own the majority of the wealth in the world. do you think they really care about you? it is the 90% rest of the population that fight after 10% of the money supply. that is the definition of a RAT RACE. you have no chance of winning under that system. a. everyone calls network marketing and owing a business a scam yet they are BROKE and struggling to pay bills! b. would you rather listen to the majority of the population that are broke with bills to pay or a minority that have a residual wealth from businesses and are financially free and DON'T NEED A JOB EVER? 9. DON'T LET ME FORGET ABOUT COLLEGE??!!!! c. or will be working for 20-30 years paying off that debt which only pays back the government and makes them richer cause they get double the money from currency that is printed with interest. d. college is a expense not a liability. you don't make any money in college. you spend money. its a business. 10. instead of getting 5-6 figures in debt from college why not get 5-6 figures richer in residual income.